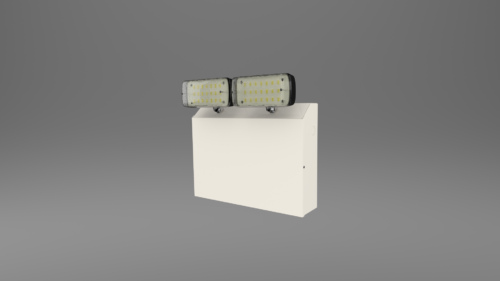 X-TSE - Ringtail Emergency Lighting. This LED emergency Twinspot provides a long lasting solution to emergency lighting in high and large areas. 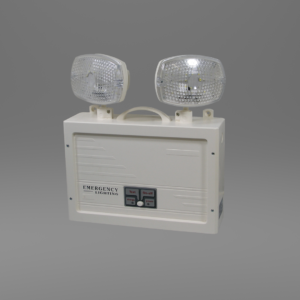 Comprising of a white finished steel enclosure fitted with twin high output LED flood lights, suitable for use on escape routes (850° C hot-wire test, defined by ICEL). 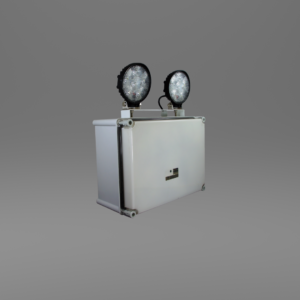 Three 20mm knockouts are available on the top and sides of the unit offering flexibility of cabling. 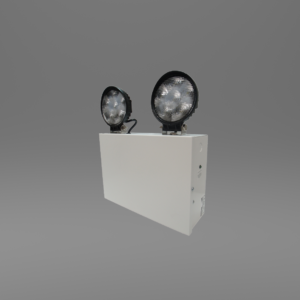 With modification the of the battery retaining compartment the X-TSE Light can be used in most orientations. 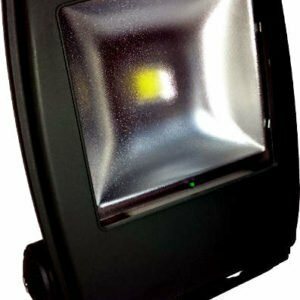 The X-TSE range comes complete with LED lamps and batteries. Non – Maintained as standard, Maintained and Delay Timer versions available.